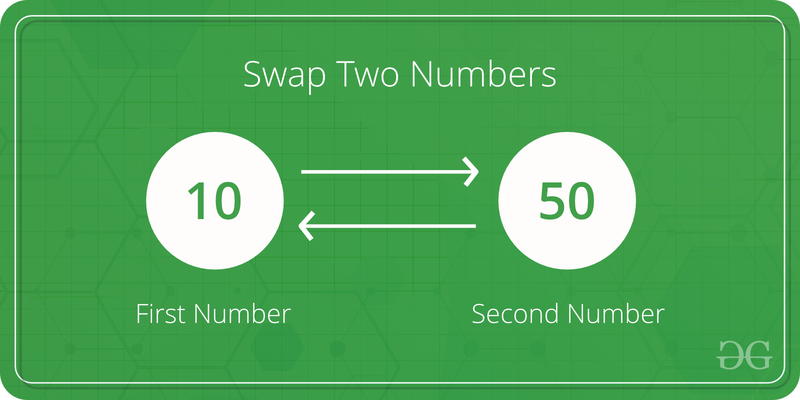 Given two numbers, write a C program to swap the given numbers. How to write a function to swap? Since we want the local variables of main to modified by swap function, we must them using pointers in C.
How to do in C++? In C++, we can use references also. Is there a library function? We can use C++ library swap function also. How to swap without using a temporary variable?